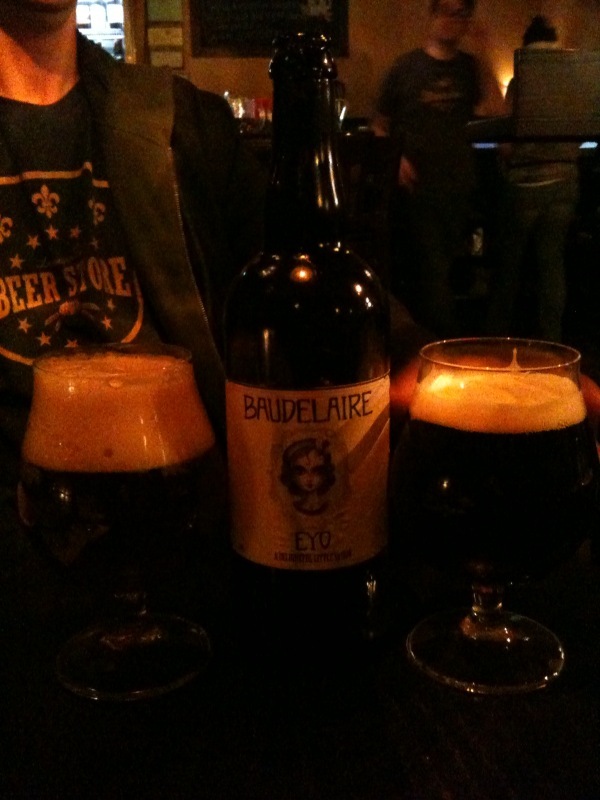 The top women revolutionizing craft beer in 2012. Some scientists believe women have a superior sense of smell, which may be one reason that throughout human history women have traditionally worn the brewers’ boots. But for one reason or another, it’s only been recently that many women have been accepted as equals in modern brewhouses. There’s even an indiefilm about women in beer making the rounds. Great beer has inspired more than a few social revolutions, which is roughly why, in no particular order, we present our picks for the top female beer professionals. Eleven, in fact, but who’s counting? And by top, we mean: most talented, influential, formidable, and inspiring. They’re alternately crazy-skilled, tattoo-tough, scary-smart, and really good at educating the masses about the mysteries and delights of great beer. And most of all, they’re making it count in a boys’ club that can use the fresh-faced competition. You go, girls. Tell us what you think in the comments below. And read on for our star-studded list. There are beer bars in the South and then there’s Holy Grale, housed in a former Unitarian church constructed in 1905. Beck and partner Tyler Trotter expanded from a bottle shop in 2011 to add 20 rare and delicious taps and high-end pub grub, helping advance the march of great craft beer across the American South, earning a spot on DRAFT magazine’s annual list of the best beer bars in the nation along the way. Welcome to Taking the Temperature, in which Eater checks the vital signs of various food scenes to find out what’s exciting and what’s DOA. Today: Hot restaurants in Louisville’s developing NuLu neighborhood. There is a stretch of East Market Street in Louisville, Kentucky, that is jam-packed with new restaurants. They’ve been calling this area NuLu — a portmanteau of “new” and “Louisville” — since it’s basically where every single cool, artisanal, slightly Brooklyn-y thing lands. You’ve got your restaurants likeRye and Decca, which focus on simple, product-driven food in casual settings, but also brick-and-mortar locations of food trucks (Taco Punk), excellent beer stores (Louisville Beer Shop), and coffee spots (Please and Thank You). Monday, May 2nd – Arrive in Chicago for a meet and greet at West Lakeview Liquors at 5pm. Wednesday May 4th – Brew day at Half Acre with Pipeworks Brewing Co.
Monday, May 9th – Brewday at NABC Grantline Brewery followed by Office Hours with the Publican and guest host, Urbain Coutteau. 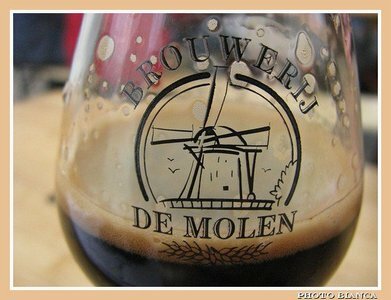 some of our favorite breweries, beer stores, and beer establishments with a final destination in mind, the Borefts Beer Festival at Brouwerji De Molen, in Bodegraven Netherlands. In this newsletter I’ve written down some of the highlights to share with you. Everyday surpassed our highest expectations, so here it is, I hope you enjoy this months newsletter as much as I have writing it! We arrived to the brewery right before they were opening for the day and were greeted by a lovely older woman who had been scrubbing and cleaning inside the brewery on the second floor. This woman turned out to be Kris Herteleer’s (the brewers) 93-year old mother who next lead us thru the brewery and gave perhaps one of the best tours I have ever received. 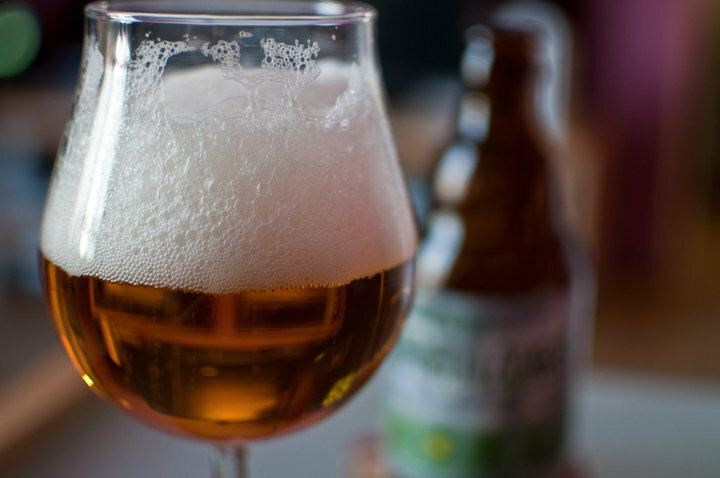 She spoke of how the beer kept her very healthy – the hops fought cancer, the natural yeasts made her body function well, and the grains gave her strength and energy, which means that beer is good for you, so drink up!. After our tour, we were greeted by the brewer who was wearing a black coat spotted with the oerbier man, which he said he only wore on Sundays and special occasions. After a brief discussion, we headed to the cellar and began to taste a variety of Special Reserva Oerbier’s and Stille Nacht’s from the barrels. Our second day in Brugge was beautiful, we drank beer on the canal, checked out numerous beer stores and enjoyed the company, knowledge, and enthusiasm of Tom Allewaert, the owner of Erasmus (perhaps one of the best hotels I’ve ever stayed in!). Seriously, he knows it all! … we were happy to see him again in Bodegraven! We headed straight to Alvinne to meet one of the brewers, Davy Spiessens. It was a working day so we spent most of our time in the attic cellar, which had a beer store that made me quite envious. They bring these beers in to sell, but most importantly, to stay inspired and aware of what others are brewing all over the world, which I feel is reflected in all the beers Alvinne makes. We were lucky enough to try the new and limited beers that haven’t made it to the US yet. All of the beers use a new yeast strain, called Morpheus, and a majority of these beers were barrel-aged and/or sour. Yummy! Here is what we “tasted” – Alvinne Kerasus, Morpheus Wild, Mano Negra (oaked), Kerasus (Bourgogne Barrel-Aged), & Alvinne/Birdsong Nightowl. Click here for website. Starting on Tuesday, September 21st, special Louisville Beer Store Hours will be in effect until Tuesday, October 5th. Submitted by amytalbott on Fri, 08/06/2010 – 13:53. What made you decide to open the store? Tyler had been touring and was inspired by the Belgian beer stores & West coast tasting & tap rooms. 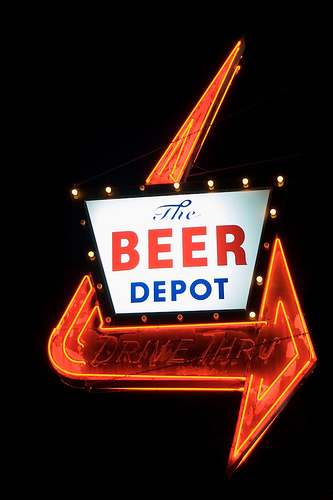 Louisville Beer Store is sort of a mix of the two. Both of us have a long love affair with craft beer and had been searching far and wide to find rare and hard-to-get bottles, so we decided to just open a beer store here in Louisville. This menu looks amazing! We can’t wait to try the beers we picked out with Chef Edward Lees cuisine. Louisville Beer Store is bringing in a variety of imported German craft brews, not to mention a local beer tent featuring the best German-style beers made in town! We are planning a Beerfest competition too. For the entire month of November we are tapping some very special kegs and hosting some of the most exciting beer events of the year! Big Bottle Bash, Dogfish Head Takeover!, Sour Ale & Chocolate pairing… and more! What beers would you recommend for…. LBS featured on KET’s Louisville Life! After 6 days, 1,164 miles, 14 breweries, 5 beer bars, 6 beer stores, and one heck of a snow storm we are happy to be enjoying brews at home. It was quite the epic beer adventure…. We drank some excellent beers, we beer-shopped our little hearts out, we were mesmerized by all the breweries big and small, and we met some of the most interesting & inspiring people in the beer community! 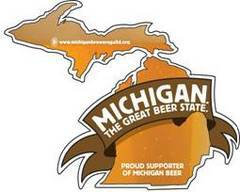 We hope you find this review helpful in your future travels to these areas & hope to offer you a chance to go on a brewery tour with us in Michigan in the summer/fall. Cheers! and Thank you to all that made this trip a memorable one!!!! As of now these beers are not available anywhere but the JP taproom, but lets all cross our fingers that they do in fact make it to fruition in the eyes of Mr. Jeffries. They are quite the treat! LBS on Fox 41 TV!